Price: $4.99 (as of 05/31/2015 at 12:30 PM ET). Clever and ambitious, Special Agent Adam Darling (yeah, he's heard all the jokes before) was on the fast track to promotion and success until his mishandling of a high profile operation left one person dead and Adam "On the Beach." 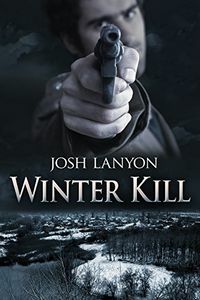 Now he's got a new partner, a new case, and a new chance to resurrect his career, hunting a cruel and cunning serial killer in a remote mountain resort in Oregon. Deputy Sheriff Robert Haskell may seem laid-back, but he's a tough and efficient cop — and he's none too thrilled to see feebs on his turf — even when one of the agents is smart, handsome, and probably gay. But a butchered body in a Native American museum is out of his small town department's league. For that matter, icy, uptight Adam Darling is out of Rob's league, but that doesn't mean Rob won't take his best shot.